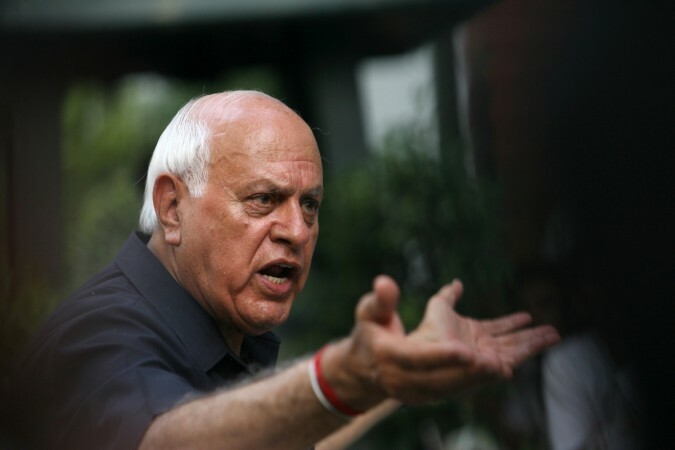 Lashing out at BJP, Farooq Abdullah said that the party is dividing India into many parts. Former J&K chief minister and National Conference president, Farooq Abdullah on Thursday took a dig at Prime Minister Narendra Modi's recent remarks and said that he felt sorry for the latter's statement. Abdullah also said that Modi should not engage in trivial issues and that it is unbecoming of his office to behave the way he is. "He is the prime minister. He has to come up to that level and should not get engaged in smaller issues. At time I feel sorry for his statements," he said during an event in Jammu. Abdullah also asked Modi to learn tolerance from former Prime Minister Atal Bihari Vajpayee. He advised Modi to be able to accept everyone in the country and take them along for running the country. Abdullah was all praises for country's first Prime Minister, Jawaharlal Nehru and said that the country is united today because of his efforts. Lashing out at BJP, he said that Nehru never imagined that India would once be ruled by a party which is trying to divide the nation. "The Britishers divided India and Pakistan but with its divisive agenda, the country will be divided into many more parts," Abdullah said.